Reliable, trustworthy and fun, like a good book, Reading to Kids works to motivate children to read more and encourages them to enjoy it. With a taskforce of volunteers and a board working behind the scenes to make everything happen, the three full-time staff members work with interns year-round to help out with various office tasks. One of the staff positions, the Literacy Coordinator, gets placed at Reading to Kids through AmeriCorps, and applications for that recently opened up. Anyone who graduated recently might want to check out Reading to Kids for this cool opportunity. 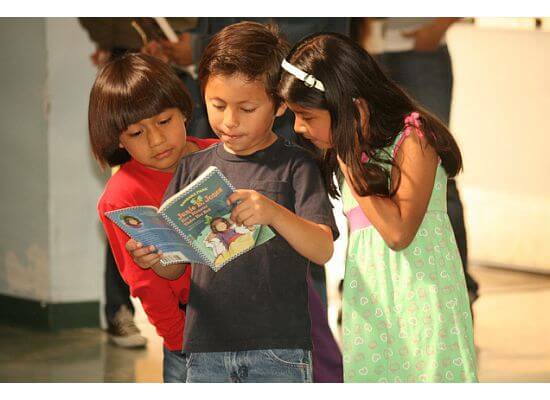 As for its location, the organizations’ Reading Clubs center around the Downtown LA area. You might have come across it unknowingly on Sawtelle Boulevard. By pairing it with arts and crafts, the children associate reading with fun, and the 19-year-old nonprofit organization has successfully expanded to eight schools. 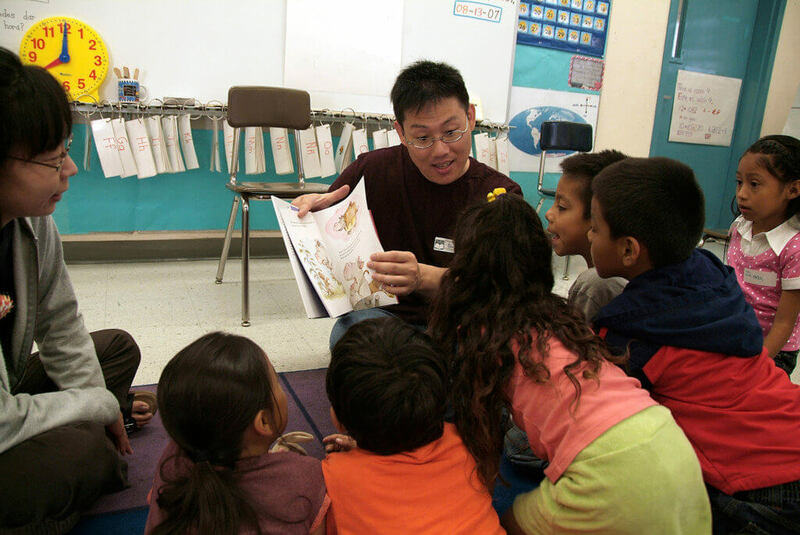 Founded in 1999 by three volunteers with a burning passion to help children in the Downtown LA area, Reading to Kids has a considerable legacy. The name really says it all. “It’s not teaching things to kids, it’s reading to kids. Talking with kids, listening with kids, maybe the conversation comes back to the book, but it doesn’t need to, and then the kids end up leaving the experience with a positive outlook on reading,” Managing Director of Reading to Kids Charlie Orchard said. Reading to Kids helps young children of all ages enjoy reading, whether they have just begun to learn to read or dislike reading. “Reading to Kids main goals are to inspire children with a love of reading, create opportunities for reading at home by giving paperback prize books to participating children and parents, and increase the library resources of participating schools through hardcover book donations,” Orchard said. 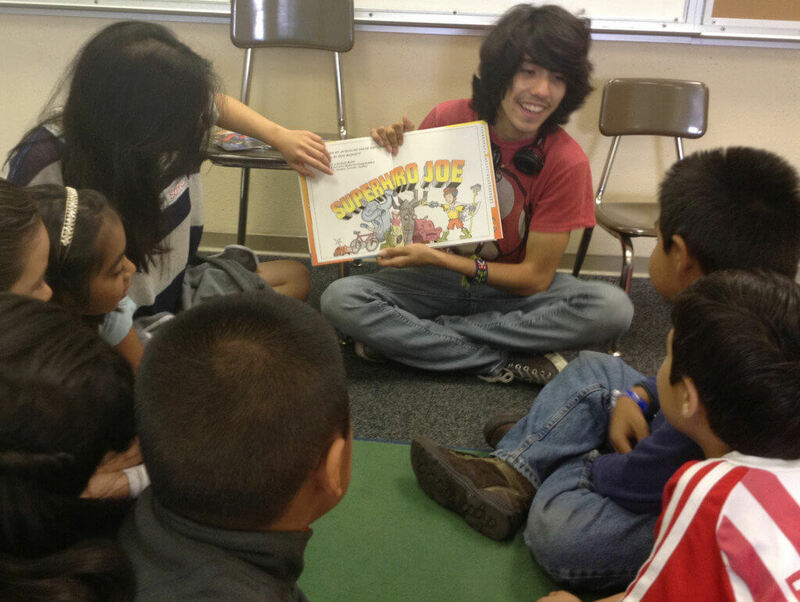 The organization operates in eight elementary schools in Downtown LA, targeting underserved communities. What does that mean exactly? “A lot of the schools that we work with, the majority are English-as-a-second-language; they’re English learners, and the majority are low-income families. There’s a lot of need for resources above and beyond just the regular school day,” Brown-Clark said. According to her, around the time the founders were considering starting Reading to Kids, a study came out about the positive effect of reading to your child every day. 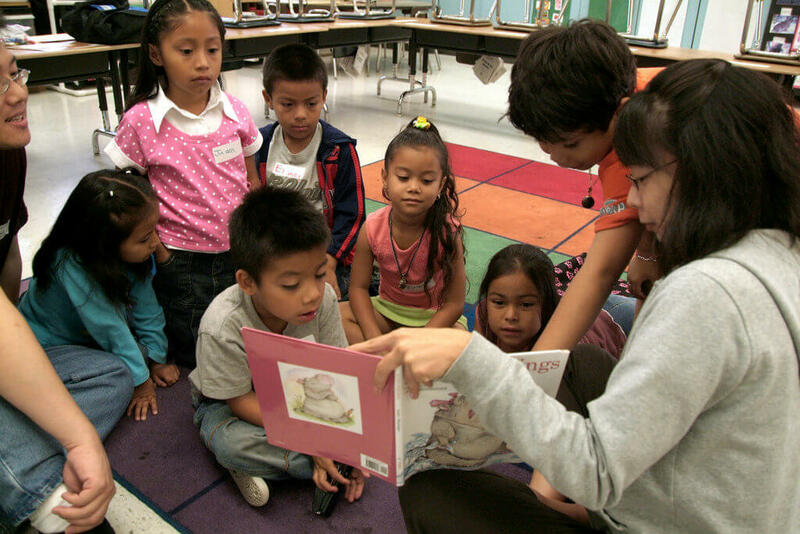 Creating a nonprofit organization focused on reading aloud to children seemed like the best way to have a direct impact on the children. All members of the staff emphasize that as a grassroots organization, Reading to Kids almost completely relies upon the volunteers. Some Reading Clubs operate solely with a team of volunteers, some who have volunteered with the organization since its founding. 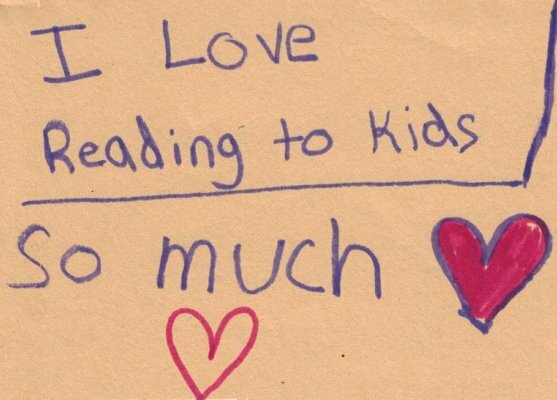 “Reading to Kids’ work environment was very laid-back. In my perspective, the work environment was very comfortable, there was a complete absence of hostility. Everyone in the office was on equal grounds as no mind was greater than one another. Everyone’s input significantly contributed to the operation of the non-profit organization,” past intern of Reading to Kids Curtis Deephano said. In terms of the Reading Clubs themselves, a can-do, positive vibe typically permeates the air. “It’s just a fun, free-flowing comfortable environment that creates a positive, empathetic experience for the kids,” Orchard said. Do you ever wonder if anyone out there still has compassion? Fear not, the amount of compassion these volunteers show to these kids will banish your worries away. You’ll learn how to show similar compassion and empathy while staying organized and efficient. “If you have a good group of volunteers around you, you can make a very successful nonprofit. I like to say it’s run like a well-oiled machine. 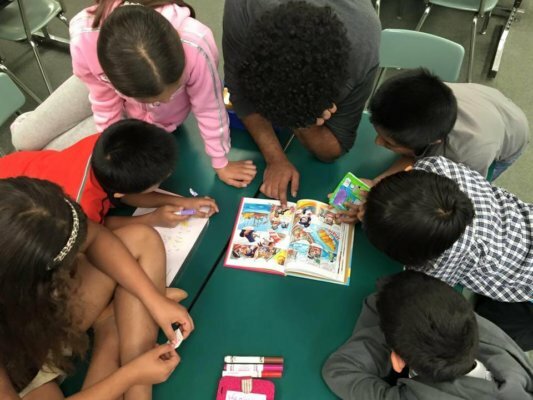 Every month is kind of the same when it comes to the Reading Clubs, but without the volunteers and the schools, this organization wouldn’t be successful,” Literacy Coordinator of Reading to Kids Jake Bakke said. Reading to Kids regularly recruits volunteers for the Saturday Reading Clubs throughout the year with an application always available on their website readingtokids.org. “We have all sorts of volunteers, the only requirement is that you have to be 18 years or older,” Brown-Clark said. After you complete the application, you can immediately RSVP for the next Reading to Kids. While relying on a vast number of trustworthy volunteers and occasional interns, the staff members have come to value certain characteristics in people. “Eagerness to help. Our rockstar helper-volunteers are always the ones that see what needs to be done and volunteer for that, and then kind of go above and beyond, and be willing to change on a dime. We really rely on those people who are really conscientious, and communicate well with us,” Brown-Clark said. Some may not consider the work volunteers and interns do very glamorous, but at the end of the day they all work to enact positive change in the community. For internship hours, the nonprofit organization offers a maximum of 30 hours a week, usually split between several interns. As for volunteering, the Reading Clubs occur only once a month, and remain in operation through the summer. “We have some who are college students who need credit or they’re part of an organization, like sororities or honors societies, that want to do some kind of volunteering group. We have young professionals who want to do something extra, above and beyond what they do in their daily lives, want to be more involved in the community, maybe meet new people if they just moved to Los Angeles. 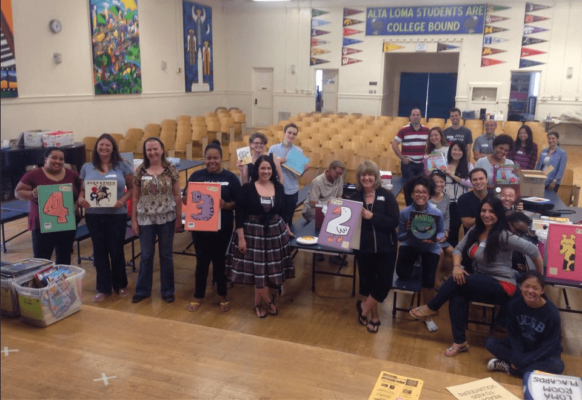 We have other groups of retirees, so people who maybe even were teachers and retired, but still want to have that connection with kids and have that connection with teaching. Or they’re a retiree, in who knows what, and just want to get back to the community,” Brown-Clark said.